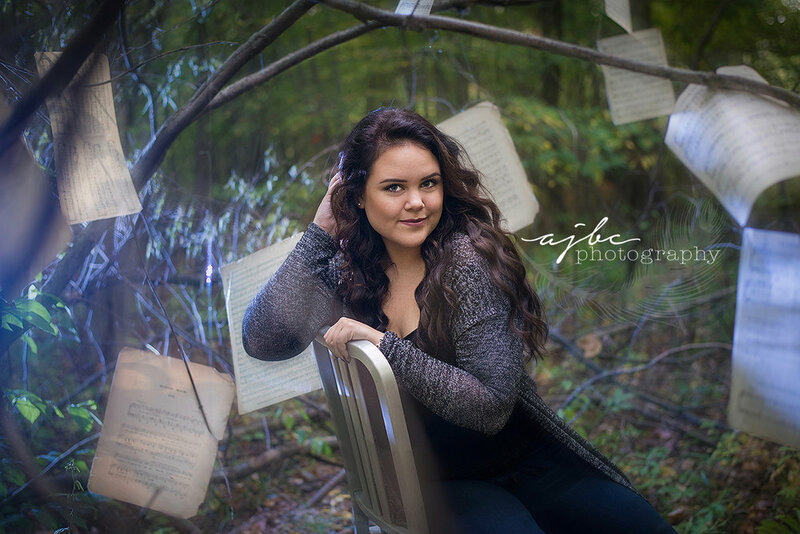 Meet Samantha, A L'Anse Creuse High School Senior, Class of 2017. 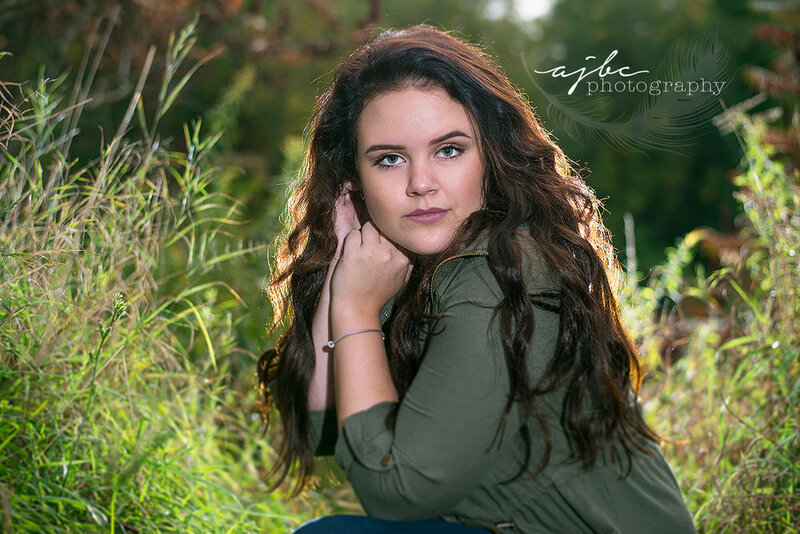 When I met with her and her mom I instantly adored both of them and quickly learned that Samantha was this little creative spirit underneath all of that fabulous, curly long brown hair! She not only acted in plays she also sang. I THEN learned that she didn't just sing, she sang AND wrote, played, and composed her own songs. I'm pretty sure that's when my inner 18 year old self got all excited and knew we had to do something really special and custom for her session. A local artist provided me with vintage music sheets that I hung up in the middle of our forest here behind the studio. We embraced the dark beauty both I and Samantha appreciate for that set before we took off and did a lighter look, surrounded by all the Fall colors on the country back roads. After that we took a short hike out to under a bridge that used to be an old railroad track that went over the river. I used to go here with my Grandpa and Mom all the time, and my grandpa used to dare us to walk out on to the rotting tracks.... 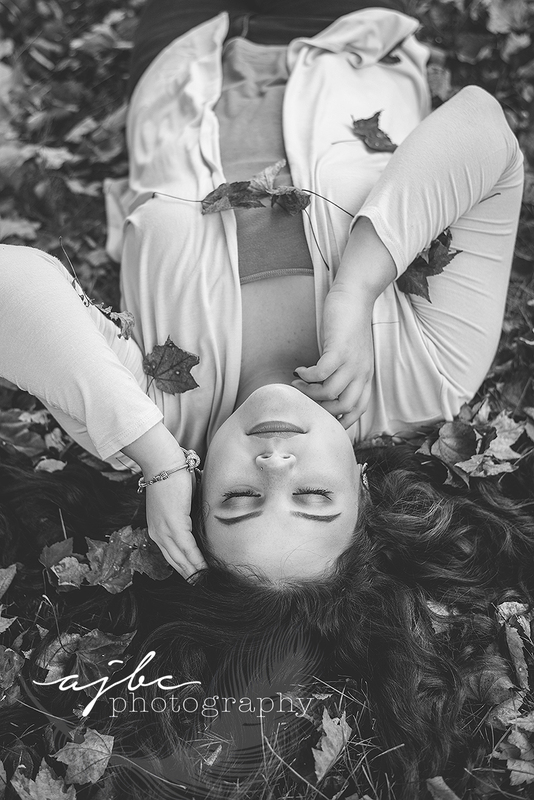 I never would have thought I would be going back with a beautiful young artist for her Senior Pictures. She had a vision in her head and I think this location captured it beautifully. What you can't see is the super steep hill we were on and how she had to slide down loose rocks in heels overlooking a drop off, but... again, totally worth it, and adventure always makes things better. We had such an amazing time with her and her family... I'm sad the whole experience with them is over, but I'm really proud and honored to be a part of this time that resulted in so much beauty, this time that marks the first steps to an amazing future for her and all she's about to accomplish!